Can you see the shrinkage going on?! Cause I do. I can feel it too when I brush my hands through them. I also included a photo of the side underneath so you can see what's going on there as well. I still spray with salt water almost everyday and that's helping a lot I think. I love it when they are going crazy. This morning I washed them and when I dried them I noticed that they were forming one great clump on my head. It's really funny when you pull on a dread on one side of your head and all the dreads are moving along. I separated them and then took these photo's. So now that my dreads are one month old, I think it is the time where I let you decide how many dread updates you want. Simply click on the poll in the upper right corner. Thank you for your vote!!! Wow, vet! 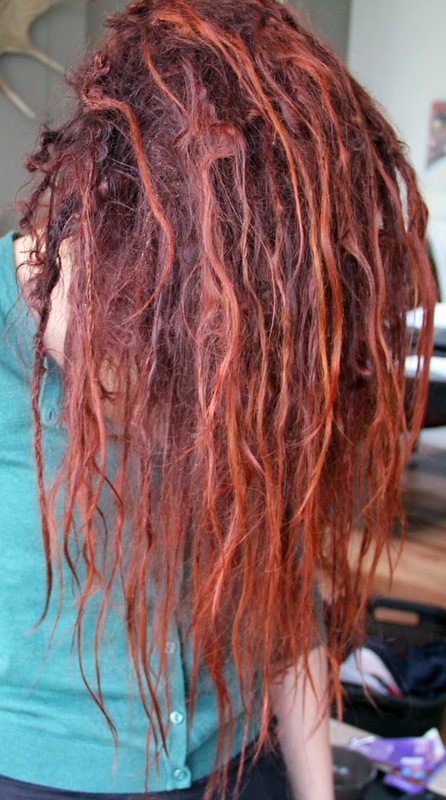 Ik vind het wel interessant, heb eigenlijk weinig verstand van dreadlocks! 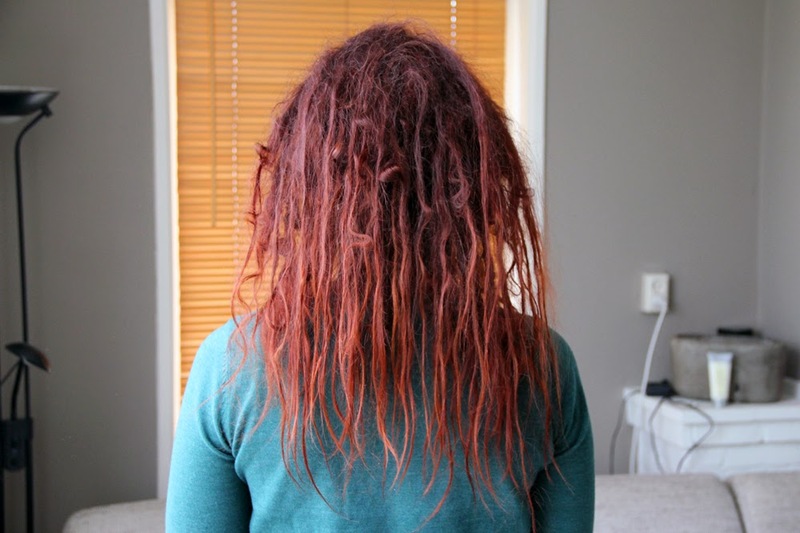 Ik vind dreadlocks zo vet!